Like all social media platform, Twitter cares for how easy and safe it is for you to log in onto its platform. Sometimes we forget our passwords and need a reset, sometime, however, we need to act quickly to fight off some suspicious logins on our account. Well Twitter has heard our fears and the answer came with two main improvements that will help us protect our accounts. As detailled on their official blog, Twitter developers have added two new features, both designed to increase the security of our accounts. 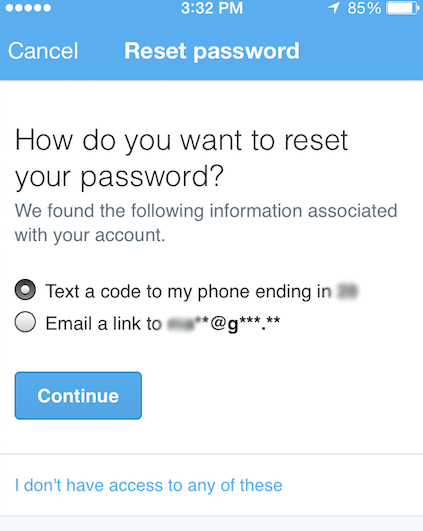 Now #Twitter lets you choose if you want to reset your password via email or on your phone. Twitter also made it much easier to reset your lost password directly from your iPhone. On top of that, Twitter also rolled out a new notification feature will automatically email you if Twitter detects suspicious login activity on your account. Twitter explains that they do so by looking into your login history and check upon your usual locations and devices. If a login attempt is identified as suspicious, Twitter will ask you a simple question about your account to verify that you are indeed the righfull owner of the account. Twitter says the question will be “something that only you know” without further explaining. An email will also be sent to inform you of the detected unusual activity so you can choose to update your password if necessary. #Twitter will monitor your account for suspicious login attempts and keep you informed. How do you feel about these new security features on Twitter? Is account security a priority for you when choosing on which platform you will be active?